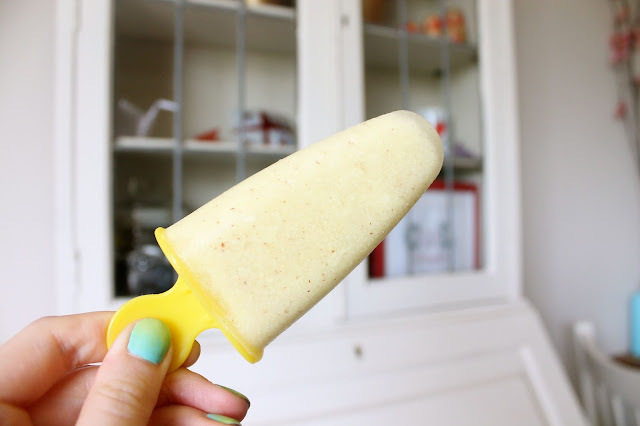 I've got a bit of an obsession with pineapple and coconut at the moment, and I have been making delicious ice lollies with the simplest recipe. Simply pop it all in a blender then pour into icelolly moulds. I have been drinking any leftovers as a yummy pina colada flavoured smoothie just by adding a little water. Simple huh!? And healthy too! Well, it was pretty inedible. For starters it was nearly impossible to get the coconut open. Once I did, I realised there wasn't a lot of water in the coconut, so I decided I would try to blend in some of the coconut flesh. Big mistake! Perhaps if you had a super duper blender this would work better, but I was left with lots of little chunks of coconut, which was not a nice texture. Especially in the drink version, not good! Packet coconut wins hands down, although I am tempted to try packet coconut with fresh pineapple, that could be a winning combination! Have you got your ice lolly recipes out yet? That actually sounds pretty delicious, but yeah there's not much coconut water in a coconut and they take FOREVER to crack open! I might give this a go next week - if the weather stays nice! Mmm yes please! That's just what I need right now so hot! Oh my goodness this is insanely clever. I think you have just guaranteed me a lovely weekend activity :-) Thank you so much! I just started following your blog. Have been reading through your posts and I love your style. 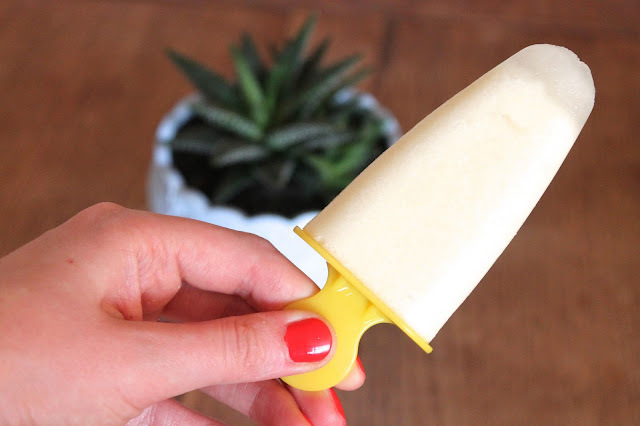 In particular can't wait to try out these Pine Colada ice lollies! Give my blog a visit if you have time. I look forward to reading more of your posts! !